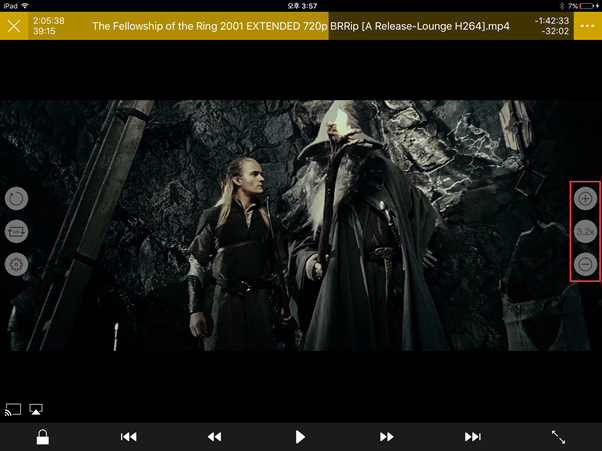 – Tap the screen and use +, –to control the playback rate. – If you touch 3.2x which is located between +and –, the speed will be reset to 1.0x. – You can adjust it from -0.5x to +4.0x.